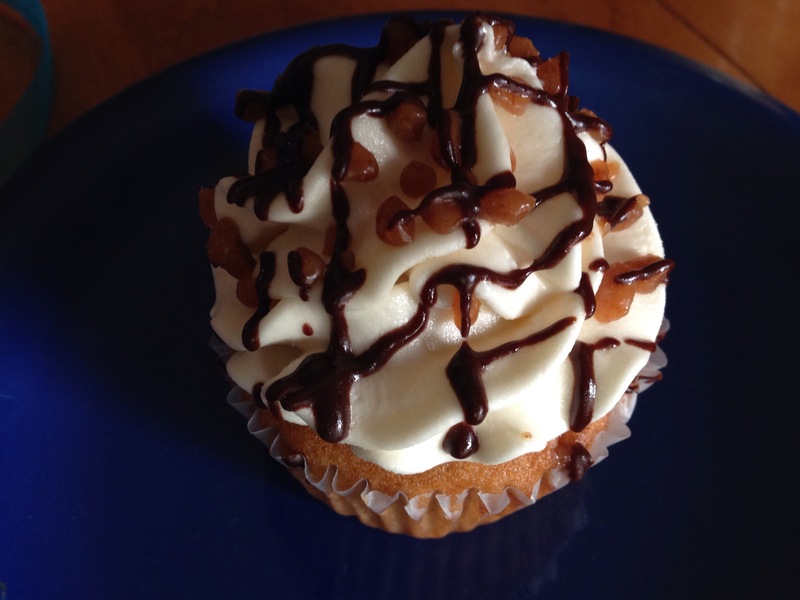 This Skor cupcake from Brown Sugar Bake Shop in Okotoks was delightful! Great flavour, not heavy. Check them out if you live in the foothills. It is a great little shop and even has gluten free products for the people on your list who require them. They are good special occasion presents as well as decadent treats.